We come forth now in this hour of your time to offer you some insight and perspective on the recent energetics that are currently subsuming Gaia during these potently powerful times. On the 28th September 2015 Gaia's vibration reached and stabilized in the frequency of 21 Hz which is akin to fifth dimensional consciousness. This frequency was also attained by a critical number of first wave illumined twin flames. This Ascension portal has been extremely important in terms of Gaia stabilising into her higher dimensional frequencies, however She is also very much still on track with regards to her evolutionary trajectory. Currently Gaia is aligning and approaching the next portal of intensified Gamma ray activity and that is the 11 /11 portal . This highly important and mystical timeline will witness a fresh wave of twin flames and indeed soul groups reuniting and coming together in truly unprecedented ways. 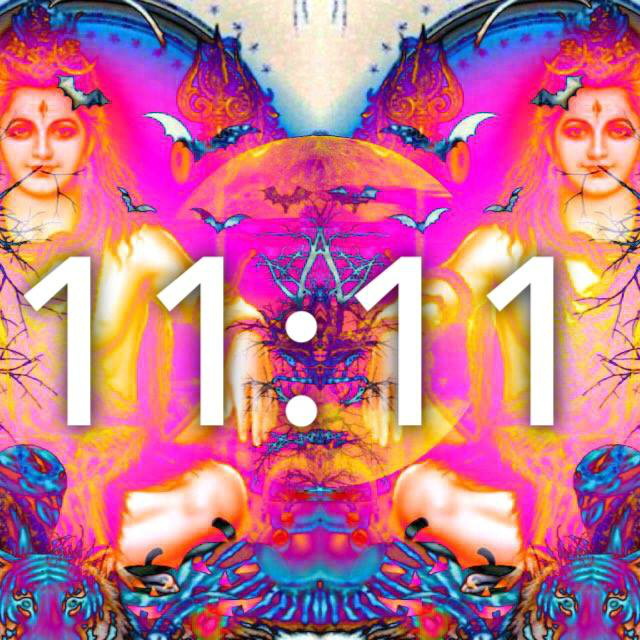 This ascension gateway of 11/11 offers a profound opportunity for timelines to merge with your twin flame and the other soul allies who you have contracted to meet in this lifetime. 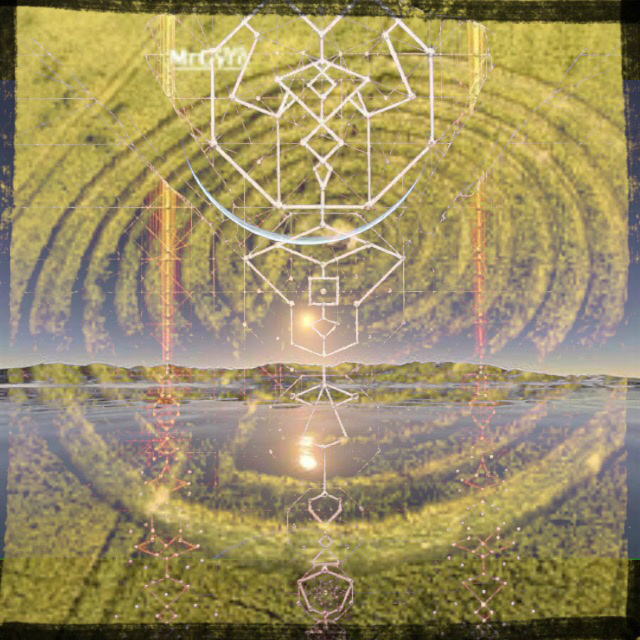 The intensification of the gamma rays will be primarily received through the heart portal of Egypt, and the great pyramids of Giza, as ever they will accumulate there, and then be transposed throughout all of the sacred sites on the planet, Avalon Glastonbury being an extremely activated and enlivened dimensional portal. This particular alignment of this new influx of gamma rays that are coming through from galactic central, will be very much harnessed by the first waivers and this will manifest as feelings of great joy and great ease with regards to your thoughts and the time between thought and manifestation. As you the forerunners have done such great and profound work with regards to clearing and cleaning out many of your old and false ancestral templates,This process is now beginning to be very much felt by the second waivers whose evolutionary process will begin to speed up now in earnest. There are many vast changes that are occurring in what you would define as the unseen realms with regards to Gaia’s full Ascension, yet this time of samhain has seen an almighty number of spirits and visitors from all over the universe walk freely and celebratorily amongst you. During this extremely potent time of samhain and up until the new moon on 11th November the veil still remains very very thin and hence this is a potent time to focus on your manifestation projects through the use of creating visual representations of your intentions and using the faculty of your imagination to visualise this every day as if it has already happened. Many of the first waivers have been experiencing quite a lot of issues with their digestion recently and this is due to the Lightbody and physical body being exponentially upgraded during these times, As this occurs the emotional body takes a certain amount of time to assimilate these changes which can activate certain stresses within the digestive system we highly recommend eliminating sugar dairy and wheat from your diet permanently or at least for certain periods, as this will give the digestive system a huge break, and we also recommend drinking a warm beverage of ( Preferably Bragg's) Apple cider vinegar and organic honey, this is a most soothing and alkalising tonic for the digestive system. We also highly recommend speaking to your digestive system... tell it that all is well and you are assimilating the new frequencies with ease and grace. This is a profoundly powerful tool at all of your disposal. 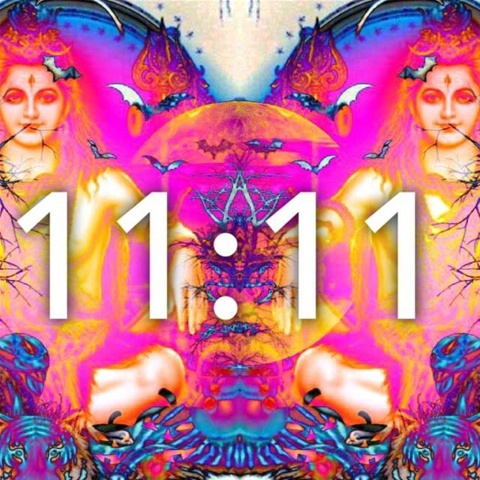 Again we reiterate how enormously grateful we are to observe the diligent commitment You all show with regards to walking this arduous yet exceptionally rewarding path of spiritual enlightenment, also known as awakening fully to your I am presence and the sacred union with your beloved twin flame. We bow to you oh most luminescent ones who are so eloquently midwifing Gaia and all of her children into this new golden age. Beyond the Veil in the realm of eternal unconditional love you and your beloved twin flame stand united as one, in humility and service to your higher self and all of creation. This realm that exists beyond the physical realm is far far far more real than anything that could ever be experienced upon this temporal illusory 3D plane. Place your attention there, allow your heart to relax at this moment and attune to this Calm knowing deep within you that when you were created you were created as a pair, with God's promise that your eternal beloved and best friend would walk beside you and within you in all ways for all days. The time truly has come to awaken from this 3D nightmare of separation. Who you are is way beyond what you can see and hear on the physical plane, when you can truly be grateful for that which you know exists on the subtle Higher planes, it is then and only that your vibration is able to attract that into its 3D movie. You are all so much more powerful than you could ever comprehend. We are available to serve you…………. “Never doubt the miracle of spontaneous evolution as a creative possibility during the fifth dimensional shift occurring on this planet"
for so long humankind has focused on what is in their past and what is currently going on within their own unique perception of the events that are occurring for them, that this gets many people hooked into the 3D consciousness. Within this realm one is eternally searching for solutions to situations from a 3D perspective and with that understanding Limited is a very generous understatement. In truth Gaia has transformed into her Higher octave/vibrational vibrational costume, and she is wearing it with a profound beauty and grace. Within all of the vast shifts that have been taking place in the electromagnetic field of Gaia, this has literally raised the frequency of all plant, animal, and mineral life upon your planet, and within this awakening that many of you are currently basking in right now, brings the understanding that miracles and miraculous solutions always lie a vibrational attunement away. Within this place, there is a full awakening to the knowledge of what true prayer really is…….~ a statement of gratitude for that which has already been seeded and blueprinted into the higher realms of consciousness and is now inevitably rapidly configuring itself into the perfect patterning to transfer onto the physical earthly plane. Beloveds when you truly master the knowledge of vibrational attunement and adjustment you will have fully awakened to the sacred words that the kingdom of heaven lies within you... ask and it is given….. create it to be and so it is. You have been granted this power as sons and daughters of the master creator mother father god and you all carry the power of your beloved parental heritage, and it is activated by declaring that it is so. Whatever you say is so is whatever you will manifest into your 3D matrix experience. 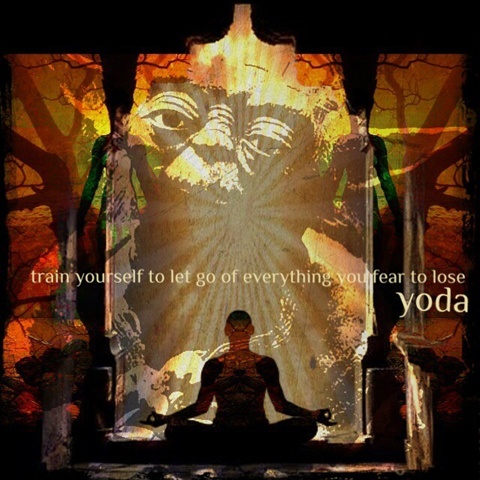 However when one attains full freedom and liberation from this insidious illusionary matrix, there is the ability to masterfully attune your vibration through visualisation and preferably a song of gratitude that that which you know has manifested on the higher planes is more real than anything of this temporary 3D paradigm. Miracle consciousness is the order of the day when one is awakened to the fifth dimension, as, all miracles are a reflection of a shift in faith that has put you directly into vibrational alignment with that which you have intended. We hope these words deeply inspire you but most importantly remind you of how exceptionally and anatomically powerful you are truly are. 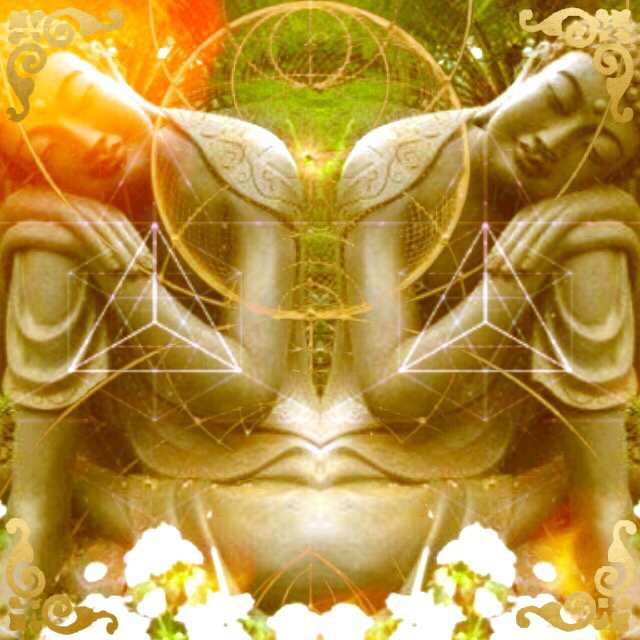 Truly all of creation bows down to you oh Star seeded avatars/ awakened ones…. Planet Earth is attracting much attention from the furthest reaches of the furthest galaxies, and there is so much excitement abound as the timeline is very short now in earthly terms with regards to archangelic sovereignty being restored fully back to all humanity, via the governmental and political systems on your planet, who have already received this template, which is currently implementing into 3d reality as we speak. How this is occurring on your planet at the moment is that the institutions of governmental and political power are in the process of receiving a profound demise, and from that the flower of revolution shall blossom, as the forces of light take their rightful place in the offices of political power and influence. These changes that are rapidly manifesting will see vast transformations occurring in all aspects of society as this seed of spiritual truth, kindness, empathy for others, and a strictly no war - Zero military policy, has now been set in the higher dimensional fields and is configuring into 3d now….. all of this and much more is aligning now in the lower fourth dimensional field of consciousness and higher third dimensional fields of consciousness and is about to be perfectly birthed at divine timing. The days of the dark cabal have reached an uninspiring end as energetically, the force of darkness is being thoroughly subsumed by the highest Angelic forces in creation. We know that these words resonate deeply for many of you and that is because you are part of this revolutionary shift in consciousness. To those whom we speak to tonight, you signed up to be on this front line wave of transformation, knowing and remembering that within your sacred consciousness you carry the blueprint of the paradise that you personally have come here to co create. Beloveds please know you are deeply supported in the implementation of this Divine blueprint in ways that you will never truly comprehend or indeed fathom, but please know that this blueprint is in fact God's plan, God's sacred idea that he/she has seeded within your consciousness that you and your beloved twin flame may co create the paradise that you have come here to experience. Greetings of the most high at this auspicious moment whereby spirit has decreed we come forth now to offer and share our comforting words of counsel and inspiration for you all who are traversing this most exhilarating evolutionary path. When you decided to come forth into this reality you understood that within your consciousness you had the power to choose an infinite number of possible timelines and these would be available to you in any given moment. Within the spectrum of infinite possibility there is a timeline that is in full harmonic resonance with your awakened fifth dimensional ascended aspect………. on this timeline, specific moments and meetings have been set up on the higher planes, to come forth at Divine timing…. in the moment of synchronicity there is very much an alignment occurring with this particular Christ consciousness/ Highest possibility timeline, and the synchronistic event which has been predestined to occur (and was decided upon in the pre-birth state) is a sign from your higher self that your current vibrational frequency is aligning you with this timeline. The moment of synchronicity is very much a nod from your higher self, reflecting back to you, that you are on track, and aligning to this higher vibrational timeline. Another important aspect of synchronicity that we would like to speak about is the timing at which these events occur…….. Synchronistic events have been very much issued forth from your higher self to fully anchor your consciousness to the majick of the present moment. These events also occur due to a higher dimensional leak, which means that the blueprint that has been firmly created in the etheric planes, has reached a level of such cohesion that this higher dimensional template is literally leaking into the 3D earthly matrix experience. This is an extremely fortuitous omen as it reminds you very very clearly that all the sacred work you are doing with the law of attraction is working. Synchronicities also show you glimpses of the true nature of reality whereby there is no such thing as time, as often synchronistic events initially takes place within One's consciousness, and within moments very often, that question or statement is being responded to through the synchronistic occurrence. This reminds you that time is extremely malleable and that the moment holds the key to all manifestation. During the moment one experiences a synchronistic event the veil between the seen and the unseen realms becomes extremely thin, and oftentimes non-existent, therefore synchronicities were sent forth to remind you who you truly are…... that your true nature is eternal and multidimensional, and that there are very powerful aspects of yourself coexisting on subtler and higher dimensions. Synchronicity shamelessly removes the thick veil of samsara's illusionary matrix momentarily, to show you your fundamental unity with that which is the unseen realms. 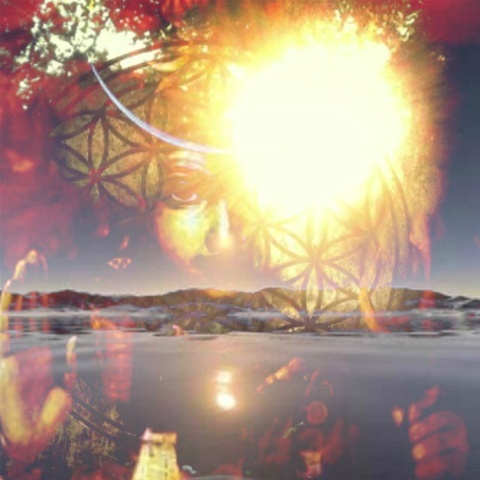 Majikal powerful awakened Star seeded beings you are…..
All of these words have come forth from your own living Heart consciousness to water the seeds of spiritual truth that are flowering so exquisitely within you all now…. Give thanks for this sacred union that forever is, on the higher planes of consciousness, this one action alone will vibrationally magnetise your beloved twin flame to come and rest and stay by your side. These words have been sent forth to heal and align you. Blessed precious beings you are…..
Beloved children of our Creator ~ Mother Father God. You are held and you are safe. Please use the God given power of your imagination to visualise the world that you wish to live in and that you wish your children to live in…………..
See all Twin flames coming back together and unifying on their sacred grid points. Use your eye (I) magic………….. this is why you have it …………..you are more powerful than you could ever truly know……………. Goforth now in service to Gaia and all her children………. In light of the recent events that have been taking place upon the earthly plane (here we refer to the staged false flag attacks that occurred in Paris) and the ongoing agenda of the political elite who wish to keep an instability in the middle eastern regions especially Israel. Please know the war mongers day is reaching an end. The event in Paris was co created with the forces of light to once and for all expose the elite ones agenda, to elicit control through the manipulation of fear. Many many many awakened people on the planet are looking upon the actions of these warmongers energetically as if they were children playing in a kindergarten their attempts at fear and control quite simply have not worked and they are very much aware of this. From our perspective the timeline of the demise of the dark Cabal is very very imminent however from your perspective it can seem like the implementation of the Galactic Council's plan to return full angelic sovereignty back to the human race is taking some time. Most of you whom we speak to tonight, the awakened ones the warriors of light and love….. you have made the most intelligent decision in these last few days and that is to cut yourself off from any mainstream media interpretation of the events that took place in Paris. this is an extremely powerful action to take and it firmly keeps your consciousness anchored in the new earth paradigm, and this is whatyou all are baring witness to...what this means is your awareness is attuning to the knowledge and experience of various different versions of reality/ timelines occurring on differening frequency bands. To those whom we speak to tonight, you are most aware of the paradigm of unity and empathy and oneness and for deep compassion and love for all including the world leaders. Your consciousness is firmly anchored in the frequency where this drama does not even exist. Fear not sweet children of mother Earth, we the council of lights are working diligently with the dark ones to assist them in putting down their weapons of mass distruction and distraction. Have faith and visualise a world where there are no weapons. Visualise all your nuclear power plants De-activated, and serving as higher dimensional portals welcoming your brothers and sisters from other star systems. Greetings of the most high, we come forward now at these times to offer you some higher Council regarding the events that have been orchestrated recently upon the 3D Paradigm matrix. We would like to offer some higher perspective with regards to sharing a view that these events have actually been sent forth in order to benefit all of humankind to unite as one entity in all its darkness and all it is light. For every dark occurrence upon the earthly plane is born of the shadow aspect of humanity….. the word shadow implies that this energy has been somewhat unwelcome and denied. when this energy is unwelcomed and denied (because it is energy which in and of itself is neutral) it seeks to be expressed in whatever way and at whatever cost it can. Humanities darkness has always been there and will always be there until it is accepted and welcomed. As each of you on your Ascension journeys are aware, one of the primary pearls you have come forth to harvest in this lifetime is the complete alchemical marriage of all the dualistic aspects of your nature....the darkness and the light.....the ego and the higher self....the masculine and feminine and the inner and the outer....in the moment of the meeting of all aspects of duality within the self, the initiates being is wedded and aligned with their highest Christed self. Individually as you awaken to your sovereign responsibility to activate the hieros Gamos ~ the alchemical marriage within you, the external forces of darkness truly cease forever again, to have any control over you. Therefore we say unto you that the current political events have been issued forth to assist in the complete stabilising in the knowing that there is no thing outside of yourself that could cause you harm or suffering in any way.. Send love and light to those who have orchestrated these pathetic attempts at manipulation and fear, hold them in your heart and sing to them that they are never separate and all there is is love. We know this is a somewhat radical perspective for some of you to comprehend, but this is exactly what “they” themselves are most terrified that you will do. Your heart consciousness holds more power than you could ever possibly comprehend. For one of you to do this De_activates at least 100,000 people's frequency of fear. With regards to the twin flame collective en masse first wave recognition and reunion please expect to see far greater clarity coming into your awareness, for after a fairly long time Being retrograde, Neptune has now motioned direct. This is a very auspicious omen and indeed very important news for Twin flames, as the current Neptune retrograde has seen a vast amount of cleaning up of the house (so to speak) and ensuring the house is spick and span, and in optimum shape, to be ready for your twin flame's return home. During this period a number of Twin flames have reunited and we are always overjoyed to share this information with you but for many of you this has been a period of deeply cleansing and cleaning the old destructive thought patterns and programs. Neptune retrograde has brought forth a certain amount of brain fog and a seeming disconnection from your guides and higher self in these last three months but all of this was due largely to this transit…………….. now however things are moving again. Neptune is the planet that represents the fairytale, the dream, spiritual insight and enlightenment with Neptune motioning direct this also brings forth important encounters of destiny, agreements that were made as a soul contract in the pre-birth state. You have been hearing this said a lot recently and it is true……….. the time for the Lonewolf is no more…………. these times foretell the meeting and merging of soul groups in unprecedented ways, all those that have been calling your tribe in the depths of the night, please know your calls have been heard and the time is now that you may all reunite. Twin flames and soul groups are all coming together now and this is the mighty blessing Neptune direct brings. You must always remember as a twin flame sensitive empath your thoughts are extremely powerful and magnetic, and whenever you send out any thought it goes out into the ether and attracts all those thoughts that are on that frequency band. If you continue to indulge in negative thoughts of fear and doubt you shall perpetually stay entrenched on Samsaras never ending hamster wheel. We advise you strongly to call upon the violet flame in these moments of fear and doubt, this one action cancels out and demagnetisers the thought energy you are omitting, it also anchors your awareness into a space where, for a moment you are not identifying with the thought….. the thought is simply arising…... which is the most potent spiritual practice that all of your greatest spiritual traditions speak about.